Every year, especially in the summer, Japan gets hit by several typhoons that sometimes make the front page of Western newspapers. Since many travelers worry about them, this article is designed to provide them with information on frequency, how they work and how to prepare for them and protect oneself. 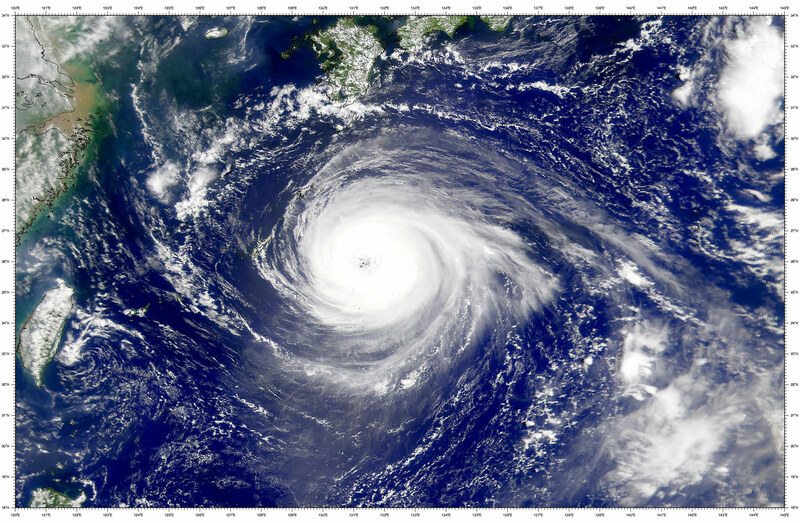 Typhoons are tropical depressions that form in the North Pacific Ocean above the countries of South-Eastern Asia. They often come from the Philippines, south of the Japanese islands and follow a north-eastern course via the Okinawa islands, Kyushu, Shikoku and then on to Kansai up until Kanto. They generally lose momentum when they pass over land and/or when they reach speeds of 30 km an hour or more. 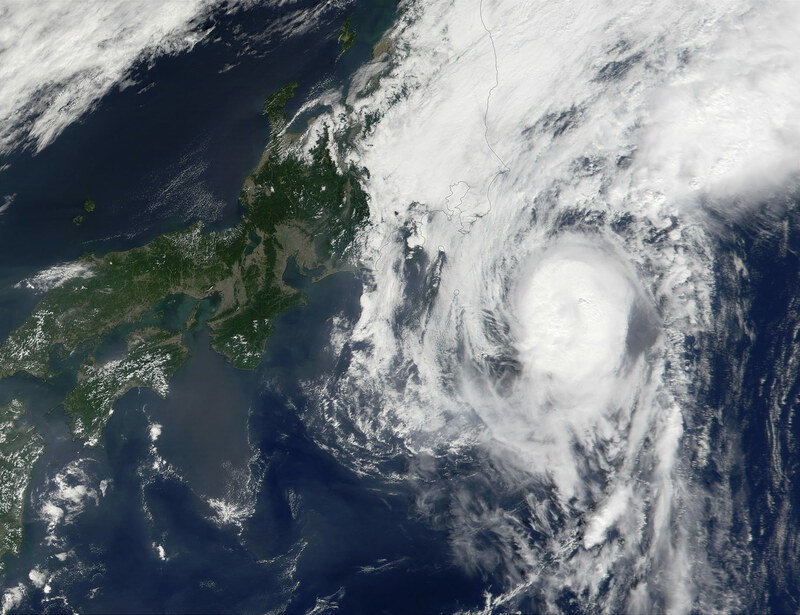 In Japan, the typhoon season typically occurs in August and September (this period is called akisame), and may last from July through October. Sometimes typhoons will hit the archipelago earlier in the year, generally in June during tsuyu, the (first and main) rainy season, which is not to be confused with a monsoon. Typhoons bring storms and torrential rain (rainfall may be more than 200 mm per 24 hours while winds may reach speeds of 200 km/hour or more) that cause powerful waves to form and may also trigger landslides. Casualties are not infrequent: several people are reported dead or missing every year while the injured may be counted by the dozen. Many houses get damaged or destroyed by the winds and especially by the rising waters. 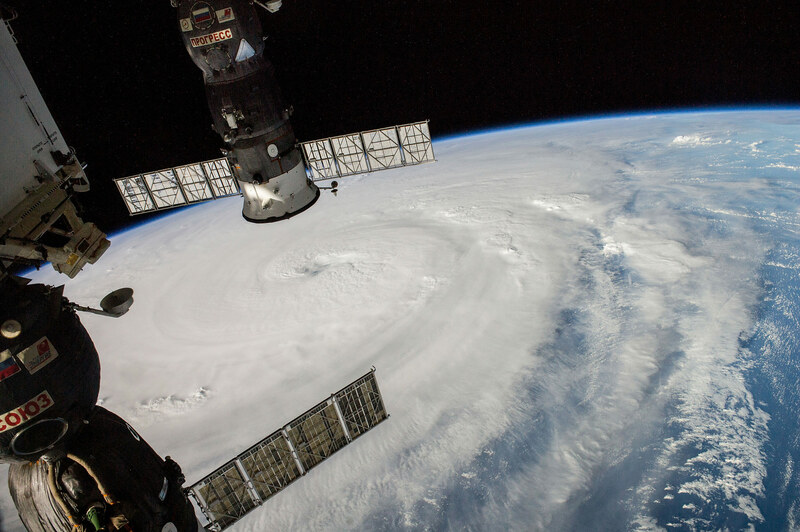 The Japanese Meteorological Agency (JMA) recorded an average number of twenty-six typhoons per year between 1981 and 2010, three of which followed a path directly above the archipelago. The year 2004 was one of the most destructive, causing over three hundred billion Yens worth of material damage. Notwithstanding scientific and statistical data, typhoons in Japan are in fact little feared by the population, just like earthquakes. They are so frequent that the Japanese have got used to them, and tend to rely on specifically designed buildings to hold out against them. Wind-swept debris is very rarely seen, especially in large cities, as is the case in poorer Asian countries. The most recent constructions have been built to withstand the (more or less) subdued fits of anger of the climate occurring in the summer season. Only the dwellers of old and traditional Japanese houses have any cause for worry and, in any case, they tend to be more concerned with the issue of insulation from the cold weather in winter. Anyway, the odds are that you will not be accommodated in any of these types of houses. The passage of a typhoon in the daily life of Japanese people typically boils down to the weather forecast announcing violent winds and heavy rainfalls. Employees often nurture the hope that the JMA will grade it as red (the third level of alert - or even less) although most of the time, they are not exempt from coming to work by their employers because of the “tiniest” typhoon. The first thing to do is visit the typhoon page of the JMA website. 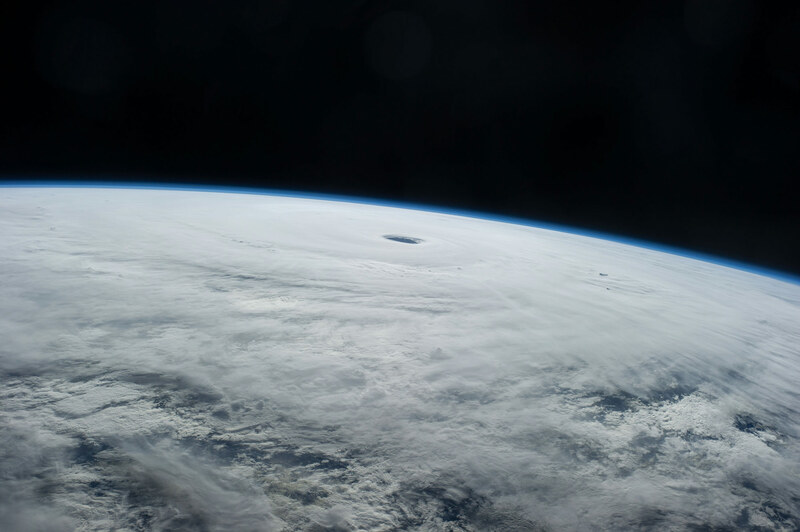 Be careful: the Japanese version gives the weather forecast in local time and only quotes the number by which the typhoon is identified, whereas the English version is based on Greenwich Meridian (GMT/UTC) and names the typhoon by its international appellation. The more visible the eye of the typhoon (represented by the “hole” in the white mass) on the satellite picture, the more violent it may be. Visit the Japanese weather forecast page of Kanpai to find out about the rain and wind over the next ten days in Japan’s major cities. In any case, use of an umbrella is not recommended as it will, more often than not, bend in the face of violent wind. You will be better off wearing a windbreaker and planning indoor activities like shopping at one of numerous malls or visiting a museum. As far as possible, you should of course stay away from canal and river banks and avoid going hiking in the forest or in the mountains. Even though most typhoons are far less violent than suggested by our stress-inducing media, it is important to act with caution. It is not uncommon for public transport (trains, planes and in particular buses) to be delayed, diverted or even cancelled through precaution measures deemed necessary by officials for the security of passengers. You should not forget, in any case, to keep some cash handy, as well as reserves of water, food and medication. The passage of a typhoon also brings its share of good things. The morning after you will be able to admire perfectly blue skies washed of all traces of clouds, and enjoy a sweet warmth in the air. So you should definitely not cancel your trip to Japan for what often turns out to be only a minor disturbance! Based on an increasing number of tourists, the Japan National Tourism Organization plans to release information in foreign languages in cases of natural disaster. Earthquakes, tsunamis and volcanic eruptions have been mentioned although typhoons will no doubt find their way there too.